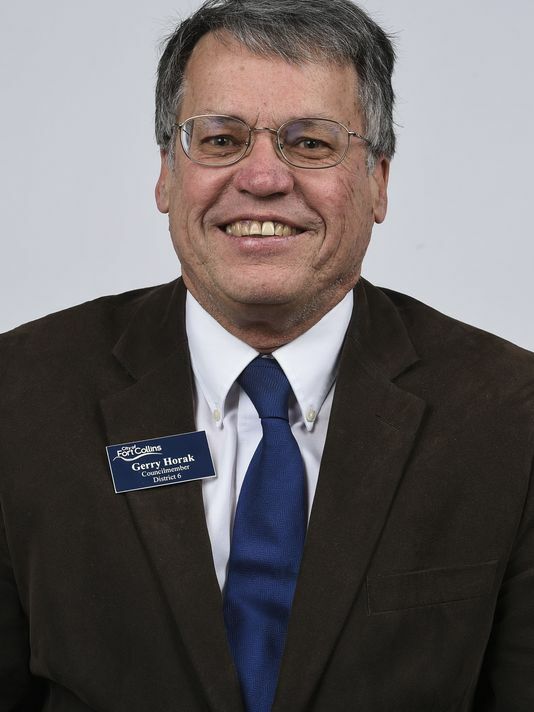 Saturday May 30th, Fort Collins City Councilman Gerry Horak held an open meeting at Cups Coffee in west Fort Collins. It was attended by small group of constituents (8) who each had a turn to ask questions about their areas of concern. One of the topics discussed was the Open Streets program put on by the city; a day where a local street is closed to cars and open only to pedestrians and bikes. The city is pushing this program in order to earn the Platinum designation from the League of American Bicyclists’. Both the Open Streets and the Platinum bicycle award programs are consistent with the City of Fort Collins’ agenda of giving preferential treatment to cyclists in an attempt to change the behavior of drivers. (Mr. Horak denies the existence of this agenda, but its supporters tout the programs and policies that, they contend, will make people drive less or just cost them more to drive.) The majority of the group opposed the Open Streets program, Mr. Horak strongly supports it. While the bicycle agenda was being discussed, there was unanimous consent among the attendees that bicycles should be registered like motor vehicles, especially given the degree to which bicycle use is growing. The funding from the licenses could help support the ever increasing/expanding cycling amenities and infrastructure (including the $90,000 annual salary of the city’s bicycle programs director), as well as increase accountability for cyclists. Mr. Horak said he “was not against” bike registration, but that it “would be very complex” and unlikely to be a net benefit. I can’t recall a single instance when a public official cited “complexity” as a reason why a program wouldn’t work. Maybe the well-paid director can find a way to overcome the potential complexities? Mr. Horak also cited the oft-noted point that cyclists also drive cars and pay car registrations, ergo they already pay for the roads. But nobody has adequately explained to me why car registrations contributing to roads and infrastructure are OK, but bike registration contributing to pathways is somehow unfair. Sticking with transportation, I posited a few questions about the viability of the MAX bus system. I asked if ridership fees were adequate enough to sustain the operating costs of MAX, and was told “no public transportation program in the country is.” OK, how much of the budget do ridership fees cover? About 20%. So MAX will be 80% funded by public funds in perpetuity. The logical follow-up question is if there are any studies/figures that show MAX is a good investment of public funds. Mr. Horak was rather abrasive here, and I’m not sure why because I think it is a fair question. He only would say that [paraphrase] “people are riding it, so it’s working…there is ridership, so that means there are less cars on the road, the streets are less congested, and the air quality is better.” I continued to ask if there are, or will be, any studies on MAX’s sustainability and if desired goals are being met, and his only retort was “yes, because ridership.” I am skeptical that road congestion and air quality have at all be changed because of the MAX bus. Finally, Mr. Horak stated that he supports demand response, a system where one’s utility rates are modified upwards if he chooses to use electricity during times of high demand (like weekday evenings or hot summer days needing AC). Demand response is particularly injurious to people on a fixed income, especially retirees who use heat/AC all day at home because they do not go to work. Many people already use their utilities as needed and as their schedule allows; demand response will only squeeze the already tight budgets of those who can least afford it. Goleta CA and neighboring Santa Barabara are attempting a similar goal: attempting to drive people out of their cars and onto bikes, but the tactics that city uses are different than Ft. Collins. In Goleta they use street/road project such as building “roundabouts”, making four-lane roads into two-lane roads with “class 1 bike lanes and building “bulb outs” at intersections. This regressive mess is sweeping the nation. Thanks for reading/commenting, Hib!